As Alexa and her sister Olivia shyly played among peers at Windmill Library on a recent Thursday, they clung tightly to two American Girl dolls clothed in garments from bygone eras. The dolls are part of a toy-lending program created by the Las Vegas-Clark County Library District to offer an alternative way to learn — through play. 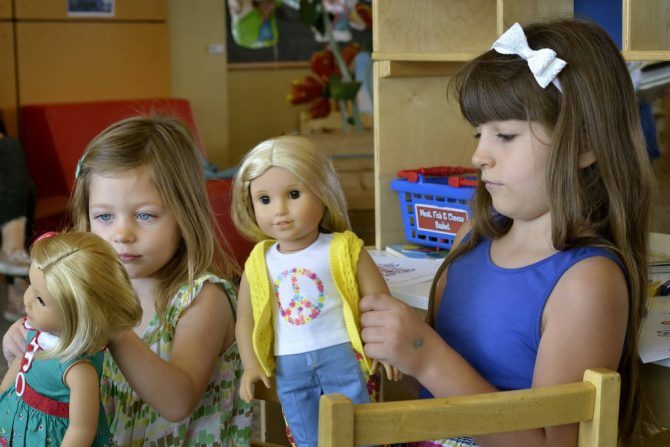 The district purchased about 200 American Girl dolls for distribution at 19 branches. Branches carry dolls for on-site play while offering a checkout system so kids can enjoy them at home. Read the full story from the Las Vegas Review-Journal.